This is a beautiful day, as it marks our 5th post-campaign update, just as scheduled. Let's get right to it! Our Serbian contractor is hard at work. So much so that they're almost ready with the design of the mold. 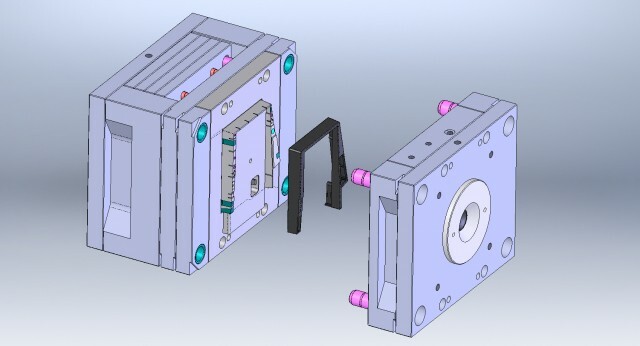 We thought you'd appreciate a couple of CAD images, so here they are. So far so good! They're pretty close to starting the actual manufacturing of the molds. We're visiting them in Serbia this weekend to discuss the last details of the molds before getting them manufactured. Expect real life photos of hunks of steel in future updates. 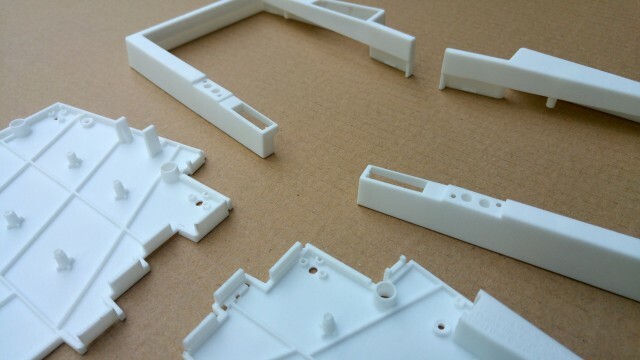 Due to the nature of mold making, it's critical to get everything from the beginning, because it's hard to go back. And what better way to test the design than to build an up-to-date prototype? András has made some final changes to the case to make it accommodate Matias switches, not just Cherries. 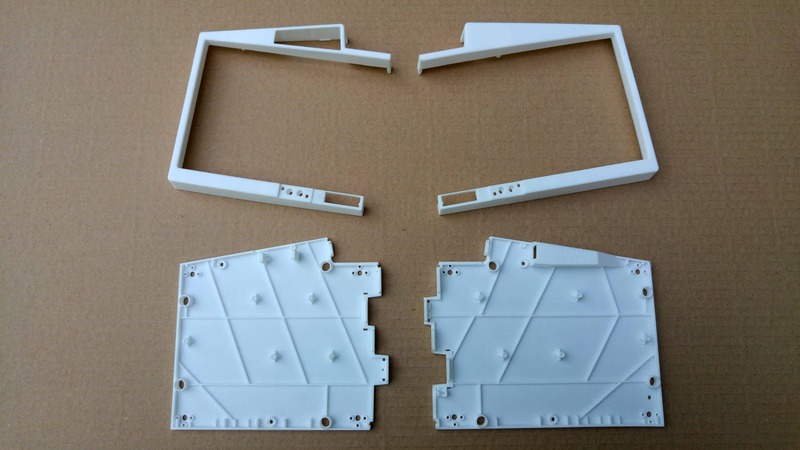 This 3D printed case has the same design as the mass-produced injection molded case will – apart from the vast difference in quality because 3D printing vs injection molded plastic are worlds apart in terms of quality and accuracy. 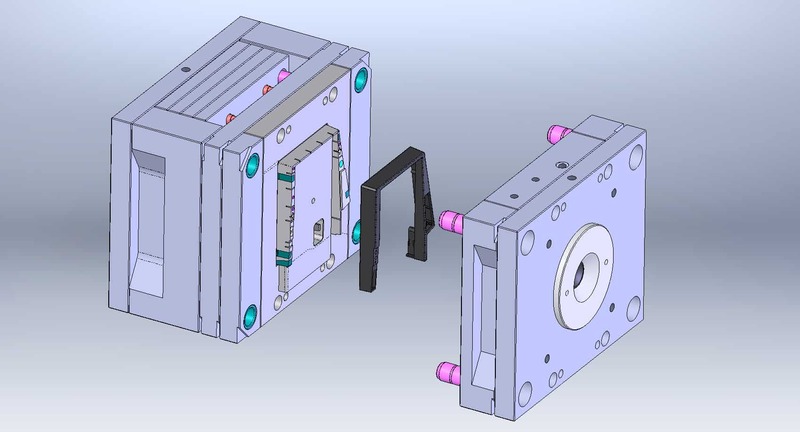 In the meantime, I've been busy updating our PCBs to correspondwith the new mechanical CAD files. The shape of the PCB should now be finalized, (including the positions of the mechanical components), but the electronics routing has yet to be fully redesigned. Let's see the fruits of my labor. 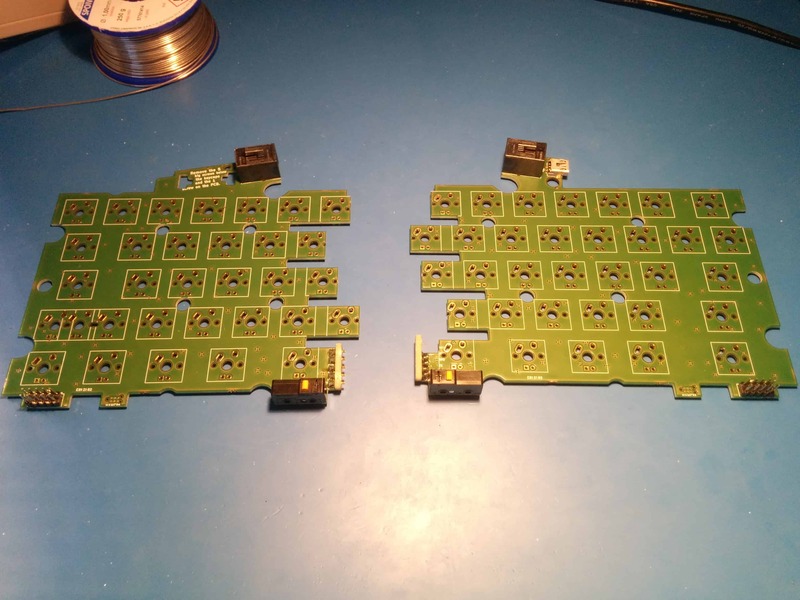 Once the PCBs are depanelized, and some components soldered in, it starts to resemble the UHK much closely. I’m especially pleased with the way the pogo pin connector turned out. 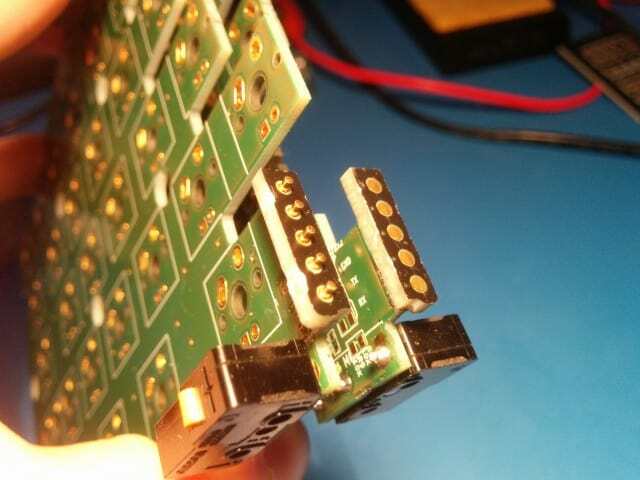 This connector has a crucial role in interconnecting the keyboard halves with the modules. The new solution features 2.5mm-thick PCBs perpendicularly soldered onto the main PCBs. Pogo pins are stuck through the male PCB, and flat pads are featured on its female counterpart. The new design is a lot more robust and pleasing to the eye than the previous battery spring connector. This mechanical PCB is useful without the electronics because it allows for mechanical testing. 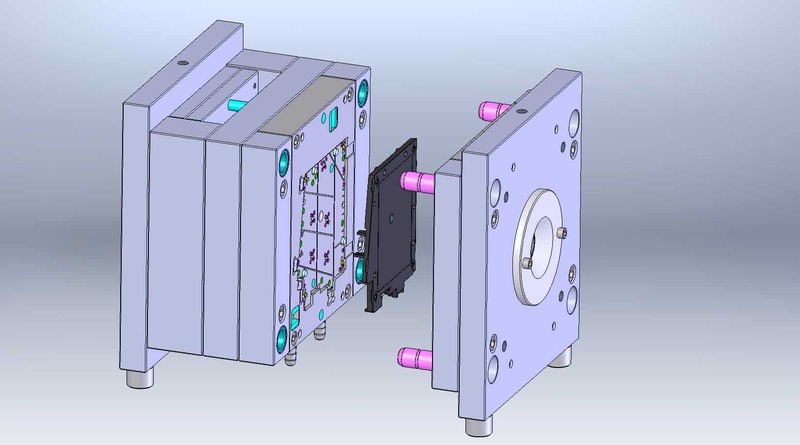 The schematic is being updated from AVR to the Kinetis platform, and as soon as it gets done, the PCB will be rerouted, fabricated, and tested. We have almost finished creating a Cherry and a Matias mechanical UHK prototype, but we're waiting for the new metal plates to arrive to finish them off. Since our previous status update, a whopping 222 commits have landed in our GitHub repos! Now that's what I call true teamwork! This leads me to some much deserved words on our newest contributor! Let me introduce Mr. Samuel Rang! I'm Sam Rang, and I've been helping out with the serialization and deserialization of configuration files for Agent. 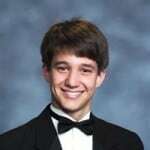 I am a graduate of Duke Engineering with a degree in Computer Science and Electrical & Computer Engineering, and work for Red Hat Consulting. I am a big mech keyboard nut (much to my fiance's chagrin) and was really excited when I heard about this project and that excitement is still going strong! I'm so glad that the team has let me in and I'll keep contributing as long as they let me. Sam got in touch with us about a month ago. He asked me what could he contribute. It was quite a challenging question because Agent is in heavy flux at this point, and isolating a discrete part that can be worked on is far from trivial. But I found something: the configuration serializer. That's why I was working so heavily on the serializer a month before: to lay down its foundation and hand it off to Sam. And boy, did he deliver! He went berserk and ended up implementing all the 37 classes to be serialized. Sam is still working on Agent a bit, then he'll put on his firmware hacker hat, and implement the configurator deserializer of the firmware. What a journey it will be! In the meantime, Józsi is on a mission to put the Angular 2 application logic behind Agent, making it not only beautiful, but also functional. At this pace, you'll be able to get stuff done with Agent by the next month. Árpi is continuing to refine the frontend of Agent until perfection is attained. He's pretty close to finishing the keymap editor, and then he'll transition to other parts of Agent. He's just pushed the latest and greatest version of Agent to GitHub Pages, so be sure to take a look at it! And that's it, Ladies and Gents! Excited to talk to you again on 2016-06-16! Thanks for this exciting update! It looks everything is going very well after two months delay! What CAD-software are you using and which your supplier? We're not sure about the CAD software being used, but please let us ask our supplier on the weekend when we meet them. As much as we're open about our hardware / software design, and the happenings around the project, we'd rather not share our manufacturers because it'd provide little to no benefit to our backers, only our potential competitors. I'm very sorry about it, and hope you understand. We'll write a dedicated post (actually one in English, and one in Hungarian) about OTP Bank. Keep an eye on our blog, it'll be a fun read. :) They're still in business as the largest bank of Hungary, due to reasons we cannot possibly comprehend. Sorry for my bad English but what I meant was: what CAD-software are you using yourself and what CAD-software is your supplier using?. As a mechanical engineer I'm always interested in what kind of software engineers use to get their job done. But maybe I will contact you in the future when I have to create molds for the company I work for and have to find a supplier :-D …. A quick follow up: As it turns out, our supplier uses Solid Edge. Any updates on the palm rest?? Right now, the palm rest is András' main focus. There are a lot of design choices to be made, both regarding its mechanical design and material selection but I expect him to have a final or nearly final version within a month or two. Has anyone tested the keyboard with native/3rd party MacOS/Windows/Linux input methods for inputting other languages (say, japanese , chinese)? In my case, I'm using 3rd party input method to input Traditional Chinese (Taiwan), so I'm wondering will it function well like other keyboards. Our keyboards were tested on Mac OSX, Windows, and Linux but not with an input method editor. Using an IME however doesn't make any difference at all because the UHK sends standard USB scancodes and modifiers to the host operating system just like regular keyboards, so the IME will treat it as a regular keyboard. i've only discovered the keyboard yesterday and i am already in love with what it has to offer. So much that i'm ready to join the bandwagon this week (even with MXs, despite my personal preference in APLS). I do have to ask however about LED support and Matias ALPS switches. 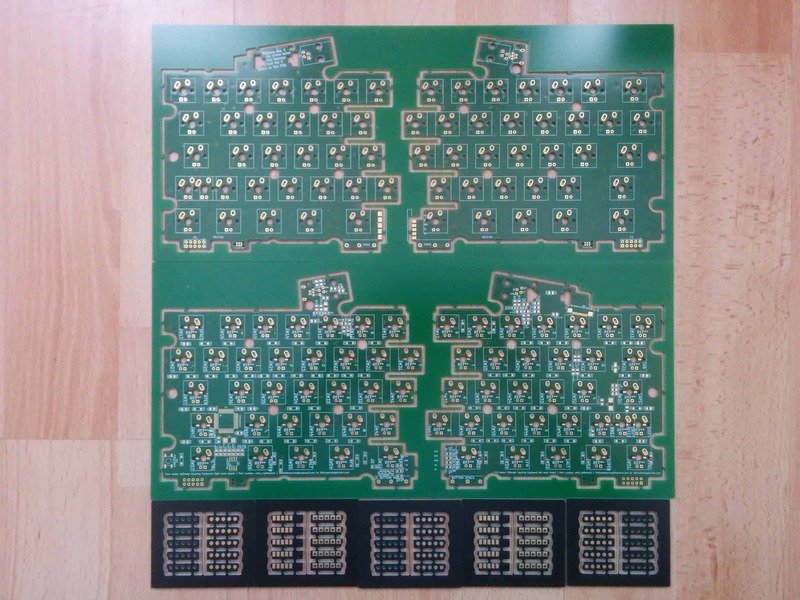 Despite the configurator now allows only for MX-style switches and no LED backlighting – from your update on the prototypes in this blogpost and from the PCB design it looks that the keyboard will be able to handle APLS switches, along with the LEDs. 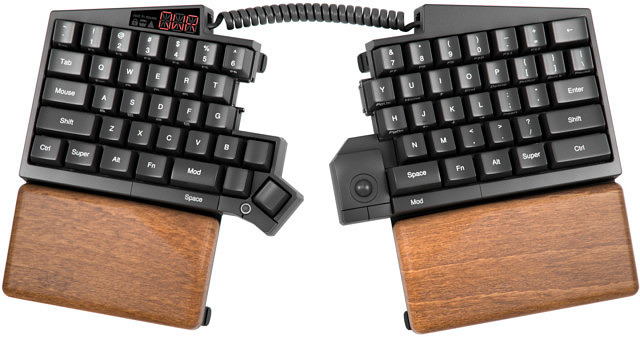 So the question is – if i order now, can i get APLS switches when keyboard will start to ship? Even if it will be without keycaps. I am very well aware of the difference in the stem. Or maybe the assembly without the switches at all? It won't be a problem for me to solder them myself. Same question goes with the LED backlighting, will it or won't it be available @ shipping time, or will i have to just solder them on my own? P.S. I saw the +/- same questions to earlier blog posts, but it was more than a few months ago, so maybe something had changed? Especially since it is clear now that the APLS switches will be supported. First up, thanks for your encouraging words, and excitement! Our latest and greatest PCB, and case is already future-proof regarding all things Matias, as it supports Matias switches with LEDs but we only plan to offer a Matias UHK version considerably later primarily because the lack of Matias keycaps (and let's not even talk about sourcing backlitable Matias keycaps). As for the implementation of the Matias backlighting, right now, the plan is to use reverse-mount LEDs, but we haven't tested out how well this will work, so some additional research is definitely needed. The best we can offer you right now is a switchless, keycapless, keyplateless UHK, which is admittedly very bare bones, and even incomplete considering that Matias switches require a plate to sit on. I'm sorry about it, but we have to focus on our core offering and extend it gradually over time.